As you may have already understood, Pasta is a pretty serious issue out here. There's a realm of Pasta shapes, each with their own special flavor profile, culinary application and even regional origin: choosing the Pasta shape that perfectly matches with your Sauce can make a big difference to the finished dish and it will definitely look like an Authentic Italian dish. 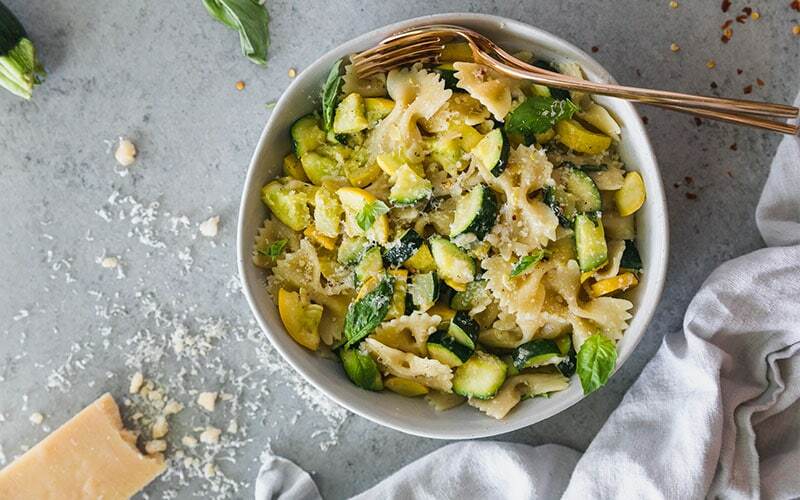 As a rule of thumb, you want to choose a Pasta shape that will allow for every bite of pasta to include plenty of sauce as well as whatever ingredients—pieces of veggies, meat, nuts, anchovies, whatever—you chose to add to the dish. In general, we can say that Long Pasta is perfect for both light olive oil sauces and heartier meat sauces. The best pairing is with silky sauce that can coat noodles and catch little ingredients like ground meat or chopped herbs. Simple sauces like carbonara or ragu are a long pasta’s best friend. Short Pasta came later in the history. However, in about a century, a wide variety of short cuts have been invented and, nowadays, are the most sold on the market. Short pasta must be used when you have big bites in your sauce, such as beans, roasted vegetables, or olives. Spaghetti are very long, thin and round-shaped. 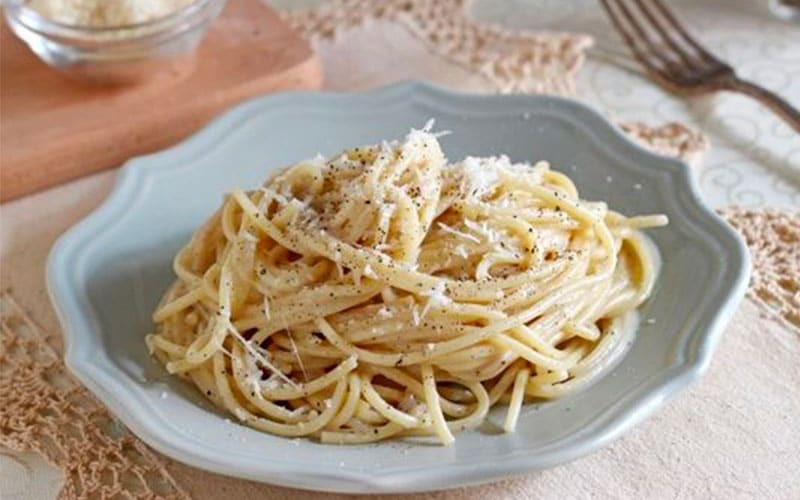 Being the most popular pasta shapes, they are served with a variety of sauces, meats and vegetables or with cheesy sauces such as cacio e pepe . But... not with Meatballs! Spaghetti with Meatballs, indeed, are not part of the Italian Culture: they have been invented by Italian immigrants coming to America and there they started to be so famous. If you have ever found them in an Italian Restaurant in Italy they probably were on the menu just to make tourists happy. 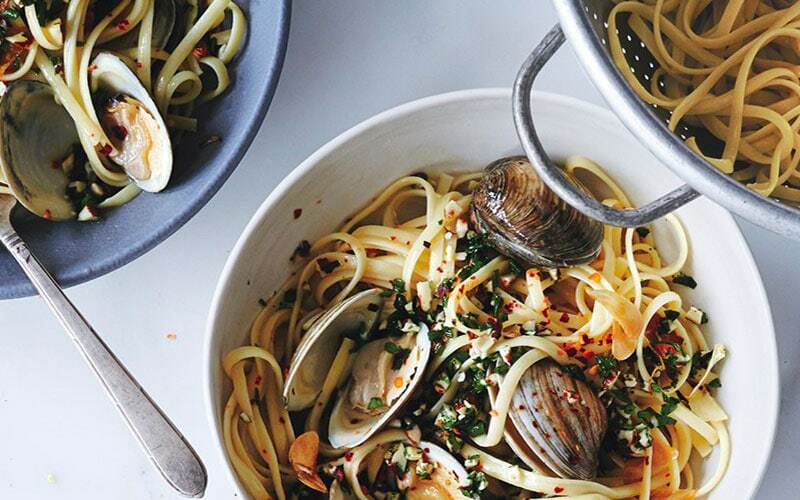 Angel Hair - in Italian Capelli d'Angelo - are the thinnest Spaghetti you can find. It's wounded into a nest that separates when dropped into boiling water. Being so delicate, they're perfect with Light Sauces. Heavy sauces can indeed overwhelm it. Or - that's the exception that proves the rule - you can broke them in half and add to a Soup. The positive side? Thanks to its thinness, it cooks really, really quickly, so it's a perfect choice for people in a hurry. Linguine are long, thin, elliptical, ribbon-like pasta originated in Genoa. Sometimes they are called Bavette or Trenette as well. It is important that the sauce is loose enough to help lubricate each strand and prevent them sticking together. For this reason, they are commonly used with Seafood Sauce such as clams or mussel sauce or with the Ligurian Sauce par excellence: Basil Pesto! Tagliatelle is a popular ribbon-shaped pasta from the Emilia Romagna. They are usually served with creamy, hearty sauces and are part of the most famous Emilian dish: Tagliatelle with Ragu alla Bolognese. Be careful: the true ragu alla Bolognese is a bit different from what is called "bolognese sauce" in the US. 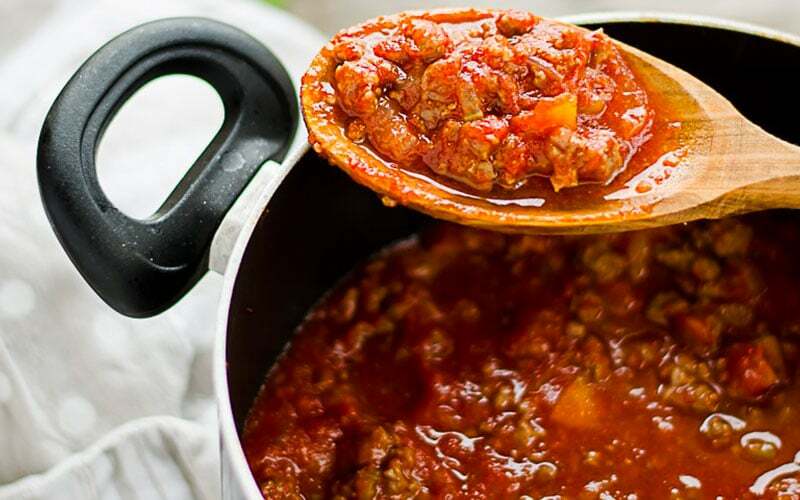 Bolognese is a tomato sauce with a bit of meats, while Ragu is indeed a meat-based sauce with the addition of a small portion of tomato sauce. Pici are thick spaghetti typical of Val d’Orcia and Val di Chiana, two beautiful areas in Tuscany. They are typically dressed "all'aglione" a tomato sauce made with a kind of Garlic that can be find only in those areas. In Montepulciano there is a very common variant called pici "alle briciole", prepared with crumbs of Tuscan bread in Olive Oil. Penne are probably the most common short type of Pasta. This Italian Pasta consists of short tubes cut on the diagonal, the better to scoop sauces inside. Their name in Italian means both "feather" and "pen": as a matter of fact they remind of the quill pen's nib. 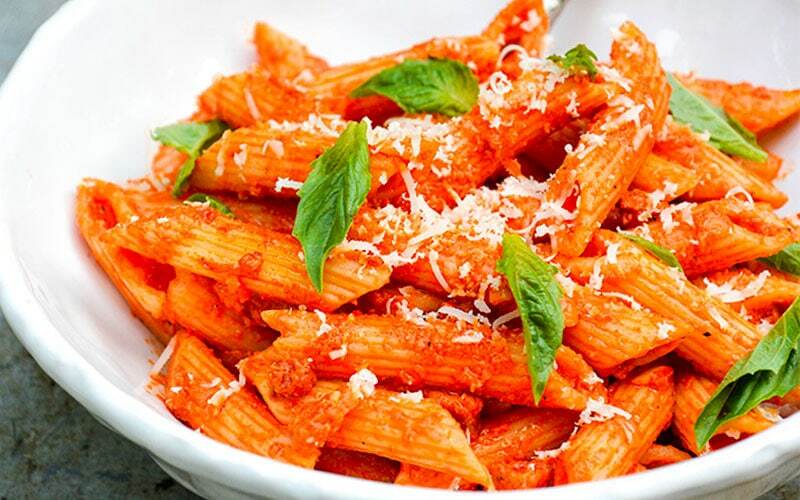 Penne is a good pasta to serve with fairly thick creamy or tomato-based sauces; as its shape holds the sauce well. It's also good for using in pasta bakes. Based on the shape of Butterflies, (in Italian "Farfalle"), thet are usually enjoyed in the summer with lots of fresh, seasonal Vegetables. The pinched centre helps them catch a small amount of sauce, but make sure they’re not too heavy or claggy. Because of their attractive shape, they are also popular in Pasta Salads, lightly dressed with olive oil. Fusilli were born in the centre-south of Italy, and get their name from the "fuso", the knitting tool used to roll up wool. Their shape is created by three small wings elegantly twisted on themselves, in a spiral movement, which captures every type of sauce. They are perfectly suited to rich meat or ricotta based sauces, but reveal their versatility also in the freshness of a delicious Pasta Salad. Caserecce literally made "home-made". They originally come from Sicily but they gradually became popular all over the various regions of central and southern Italy. They feature a twisted shape that is rolled into somewhat of an “S” shape. Caserecce are great for soaking up and holding in sauce so they're great with Pesto Cream Sauce or Tomato Sauce. 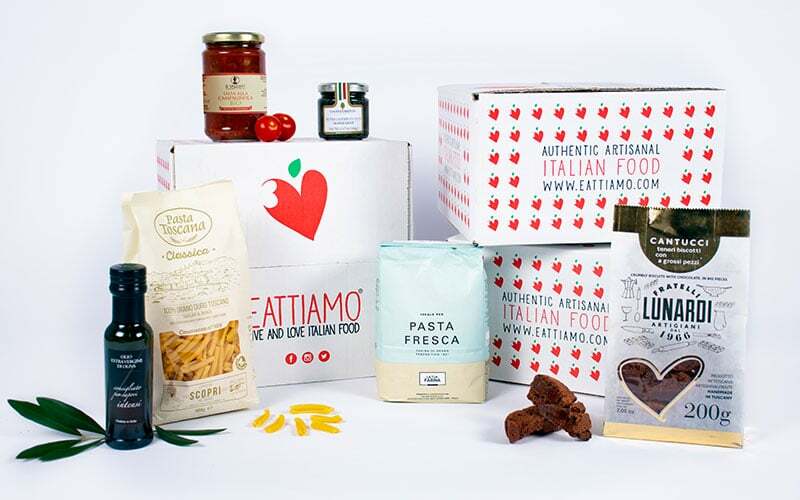 In our Taste of Tuscany Box we paired the delicious Caserecce Pasta by Pasta Toscana, made with 100% Tuscan Wheat, served with an Organic Tomato Sauce. The result was simply delicious. Want to try them at home?